Everybody’s favourite animated band are back with a six-minute music video. 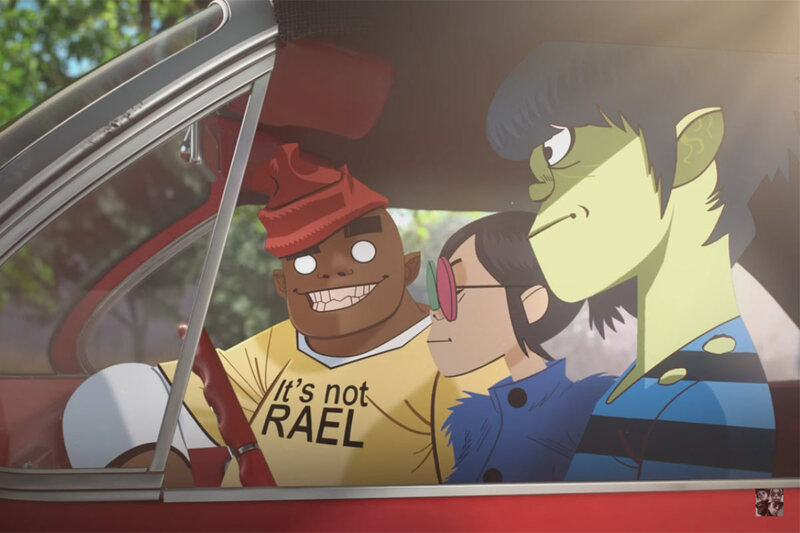 The new video, directed by longtime Gorillaz collaborator and illustrator Jamie Hewlett, gives fans a taste of what to expect from the forthcoming album Humanz – featuring four songs from the new record. Of the new tracks, Saturnz Barz (featuring Popcaan) appears in full, along with clips from Ascension (featuring Vince Staples), Andromeda (featuring D.R.A.M. 8) and We Got The Power (featuring Jehnny Beth). The band have produced a standard version of the video along with a trippy version optimised for VR. Recorded in London, Paris, New York, Chicago and Jamaica, Humanz will be Gorillaz 5th studio album and their first new record since 2011’s The Fall. The new album is due for release on 28th April 2017.